The Last of Us. Crysis 2. Star Wars: Old Republic. Uncharted 3. Some of the biggest games of the year, and beyond, and this man has done amazing art for the lot of them. 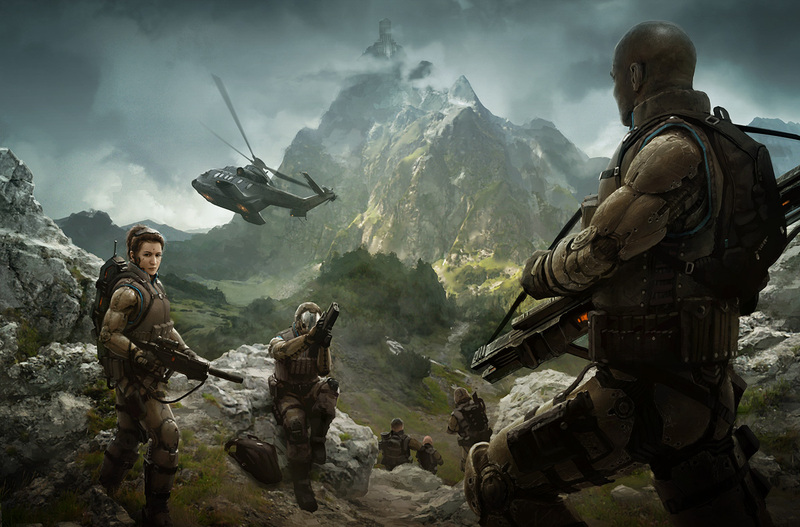 Marek Okon is a Polish artist who primarily paints. The work you'll know him for is incredible: unlike the rough sketches and concept pieces we normally deal with here, Okon mainly handles promotional and "key art" pieces, the likes of which you see on ads, posters and box art. While we'll mostly be looking at his game stuff in today's gallery, he's also done a lot of work for clients like Games Workshop and various novels and magazines, some of which is so awesome I couldn't resist sprinkling it through. You can see more at his personal site. Fine Art is a celebration of the work of video game artists. That Napoleon one is God damned amazing!